Hey I'm new to this forum so not sure if I'm posting this in the right place. I have a 2013 128i and I want to install a double din screen, not sure which one to get but I want one with apple car play. I need help finding the plastic trim pieces that replace the OEM ones to be able to fit a screen. I need recommendations for the display and also if anyone knows where I could find the dashboard piece let me know. 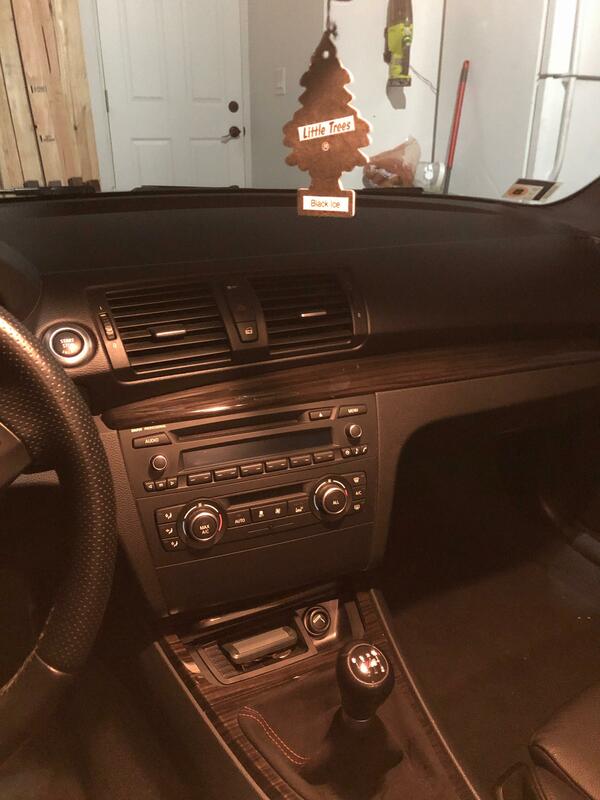 Re: e82 Double din install? I probably should have mentioned this but I'm from the US and need the left hand drive version (not too sure if its different or not). But the alpine one is not available in the US from what I can see, unless I can buy one off ebay or something like that. If you don't want the hassle of a double din conversion, I've got a nice single din Pioneer in my e81 with the flip-up screen. Apple car play, android auto, and lots of add-ons if you want to go nuts on it. can you post a picture of it? I really want something that looks like it came with the car from the factory. I'll have a go tomorrow if I can get photobucket to cooperate. It looks pretty neat and tidy closed up, but it definitely doesn't look factory-fitted with the screen open though. thanks, if it doesn't look too out of place I will probably get it. Typically, I can't get the pictures to upload. Photobucket is not friends with my phone. If you want to drop me a PM I can email them to you if you want to see it, otherwise I'm out of ideas I'm afraid.